Sharepoint Metadata Manager and Attachment Extractor–New version released! Allows you to create and edit Metadata related to files from CRM. 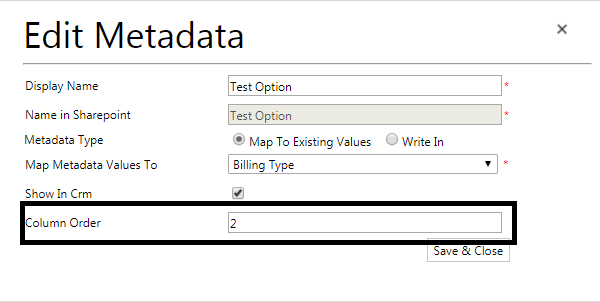 This version allows up to five metadata fields per entity and also provides the option to restrict the metadata values to a specific set of values or free text. 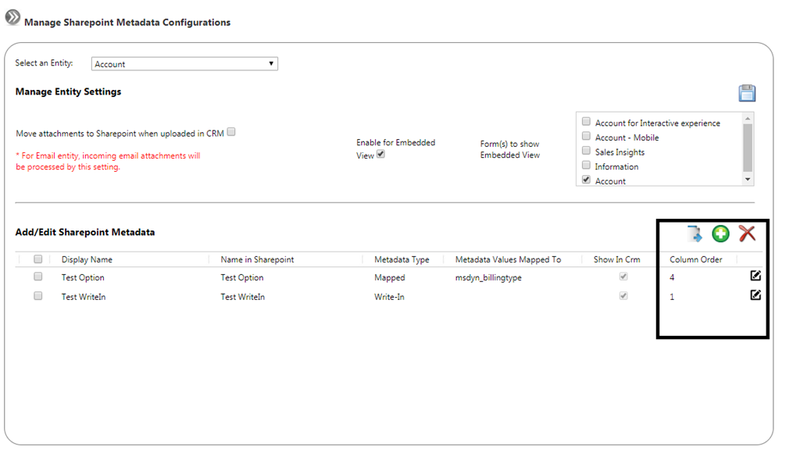 Dynamic adding and removal of the SharePoint section on the form of an entity just through configuration page that comes with the tool. Also you can place the SharePoint section on multiple forms for the entity. Automatically moving the document from the annotations section of CRM to Sharepoint. Behaves in conformance with the security privileges of the user in CRM for the record on which the SharePoint section is being shown. The tool now comes with the capability to enable column ordering for metadata. All of this and much more to offer. Reach out to us to know how we can help you.